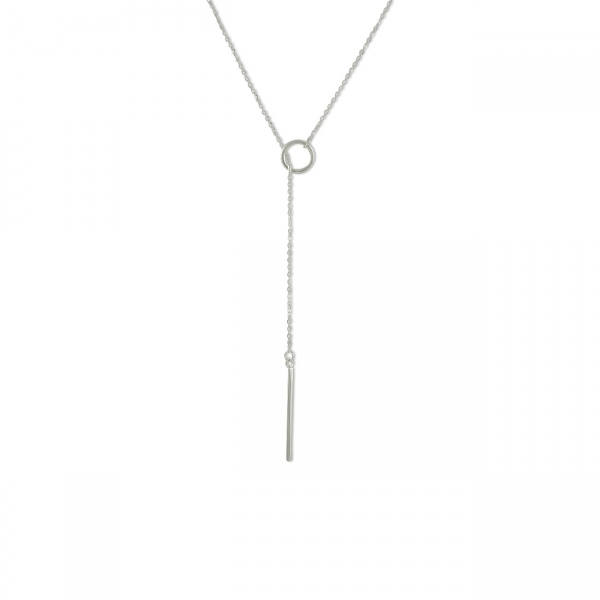 Even a simple necklace gleaming in quality sterling silver can make a statement. 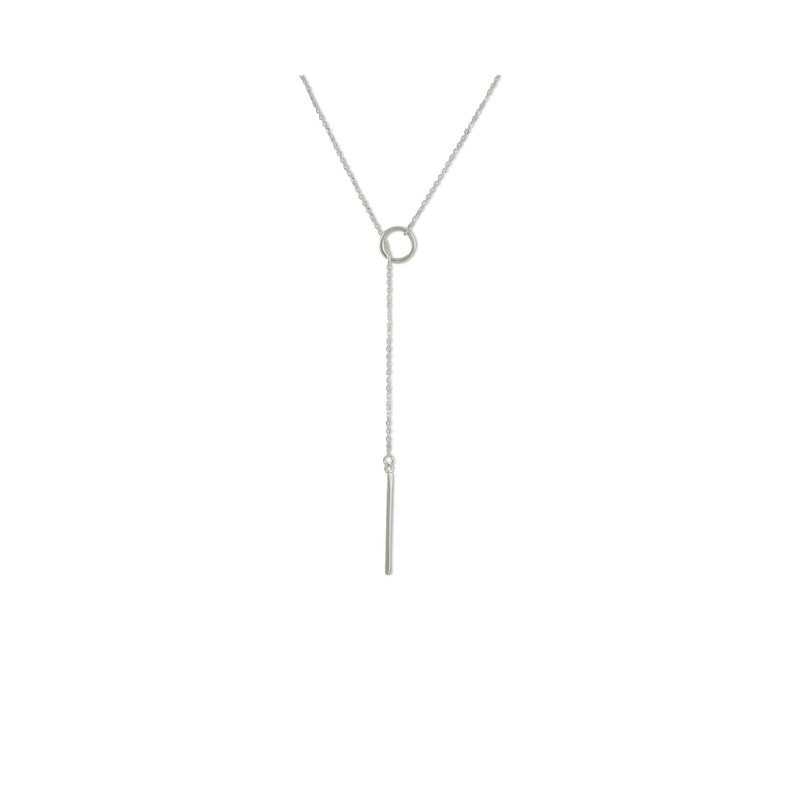 For ladies who want pizazz without bold baubles or tawdry bling, this streamlined lariat necklace still gets attention. Pull one end through the circle to control its final length which can drop as low as your center torso. Wear a solid-coloured blouse with a high neckline to let this modern design steal the show.